Frankie MacDonald is a 34 year old man from Cape Breton, Nova Scotia, Canada. Frankie, who is autistic, has become known around the world as a result of the impassioned weather forecasts and comedy videos he posts to his YouTube channel 'dogsandwolves'. 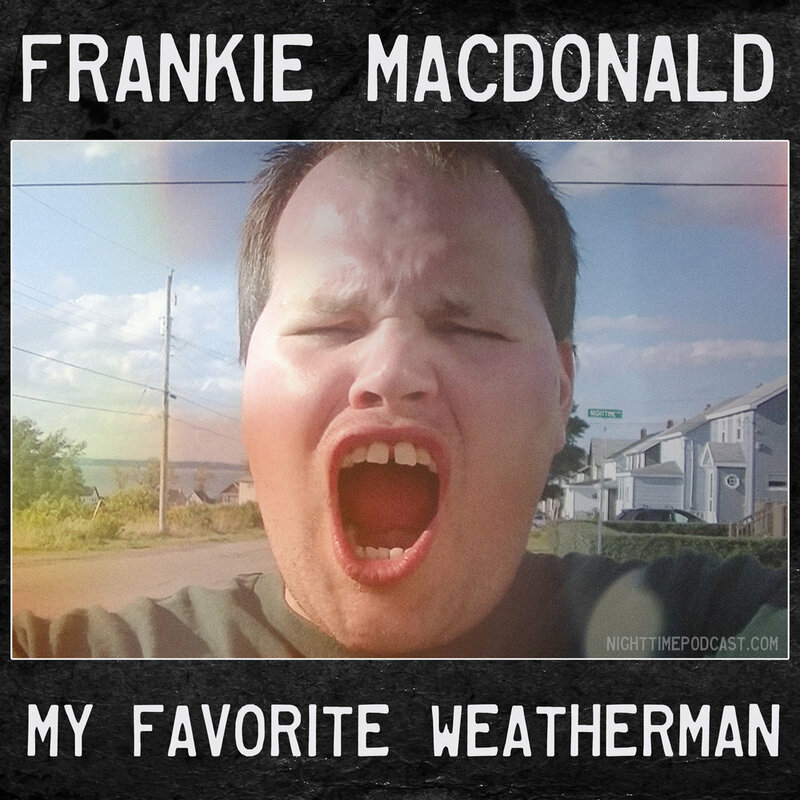 With his videos gaining tens of millions of views and having been featured on T-shirts, action figures, bobble heads, and a book Frankie MacDonald is among the most unique celebrities of our time. In this episode, I am joined by author Sarah Sawler who co-wrote 'Be Prepared, The Frankie Macdonald Guide to Life, Weather, and Everything' along with Frankie. In part 2 of the ongoing UFOs Above Canada series, I set out to clear the air and provide UFOs a safe place to zip around by asking UFO researcher Chris Rutkwoski "What isn't a UFO?" After ending up on the receiving end of her older sister and babysitter's childhood prank, 10 year old Joanne Pedersen found herself locked out of her house on a cold and rainy night. To request help, the soaking wet and sobbing child entered a pay-phone booth outside of a nearby convenience store and phoned her parents to request help. By the time they arrived at the store to pick her up Joanne was gone. Now, 35 years since she was last seen, investigators have been unable to locate neither Joanne or the irritated man who was heard in the phone booth with her during her call for help. UFOs Above Canada - 1 - What is a UFO? 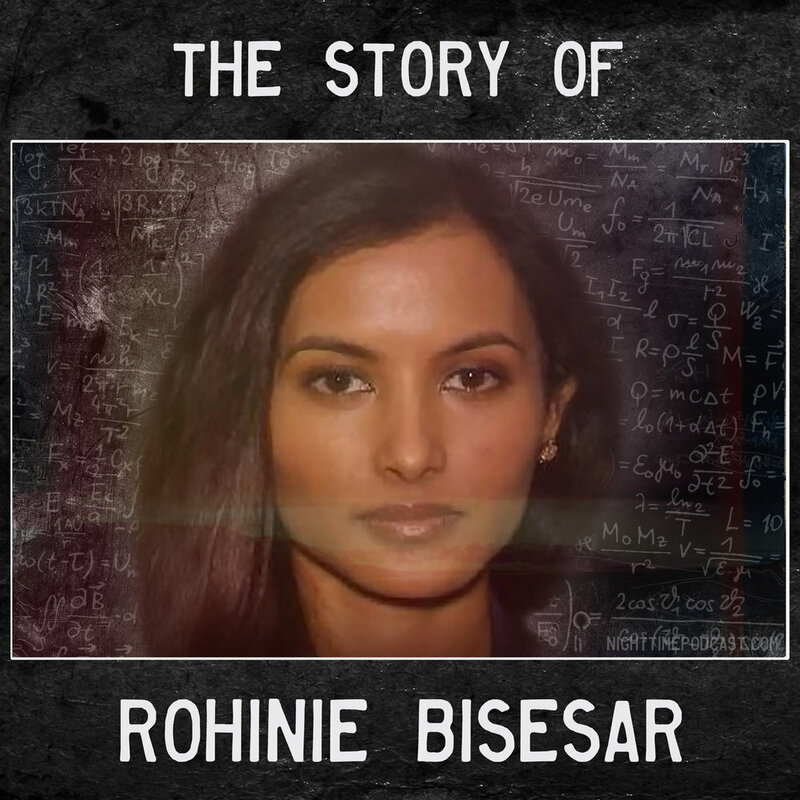 Compelling, fascinating, inspiring, and most of all... a reality! With this episode being the first in this series, it only makes sense to tackle the most misunderstood three letters in this entire field... U.F.O. In this episode the foundation for the series will be established by asking UFO writer MJ Banias the surprisingly complicated question… What is a UFO? In part 8 of The Nighttime Podcast series covering the disappearance of Emma Fillipoff, our focus will remain on those close to Emma leading up to her Nov 28, 2012 disappearance. This episode features a conversation with Conor, a young man Emma befriended in the months just prior to her disappearance. During our conversation Conor shares his memories of spending the days with Emma and discusses the times Emma stayed with him on his houseboat. Neighbours of Sadie Rogers became concerned for the 80 year old women after not seeing her, or any activity in her home, for over a week. When police respond to a request to check up on Sadie they would enter her home and be met with Amherst's most notorious murder case. 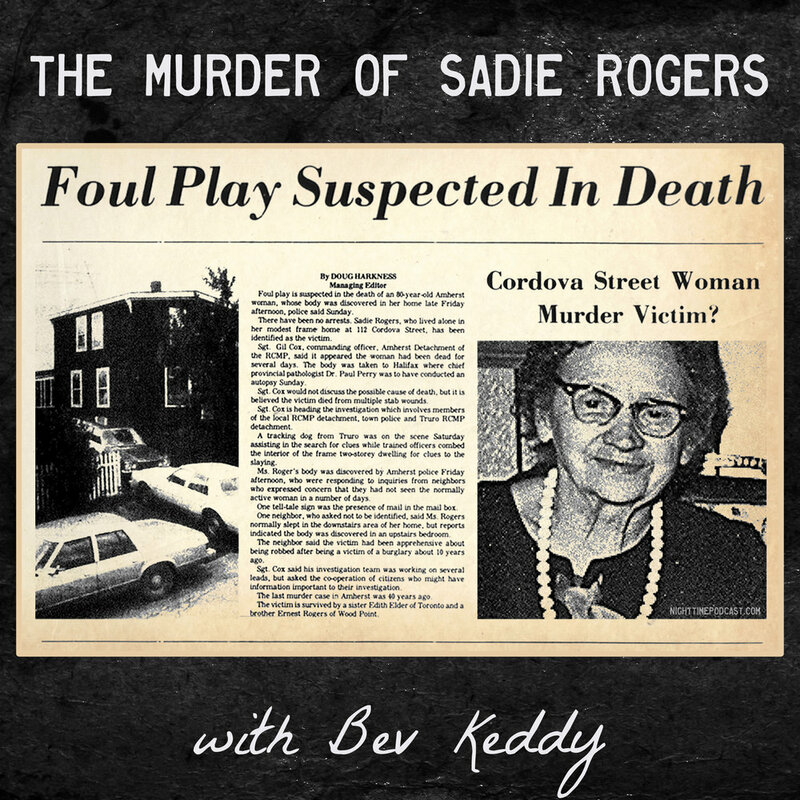 In this episode, I will be joined by Frank Magazine crime writer Bev Keddy to discuss the still unsolved murder of Sadie Rogers. For the May 2018 'Nighttime Talk' I am joined by Marissa Jones host of The Vanished. Although Canada is no stranger to murder, madness and mayhem, we have been very fortunate to have largely avoided the type of mass murders and shootings that have become common fixtures in other countries with similar values and cultures to our own. Sadly, just days prior to recording this episode Younge Street in Downtown Toronto was the setting of an event that many Canadians take comfort in thinking could never happen here. In this episode, I'll be joined by my best friend Scott to discuss the April 2018 Toronto Van Attack. Our discussion includes the event, the arrest, what is known of the man driving the van, his rumored ideological motivation, and sadly... we will discuss the innocent people killed during this horrible event. For the April 2018 'Nighttime Talk' I am joined by Tim Pilleri and Lance Reenstierna (host of Missing Maura Murray, Crawlspace, Empty Frames). In the first episode of the monthly 'Nighttime Talk' series I am joined by the host of the Canadian True Crime podcast, Kristi Lee. some of our favorite podcasts. 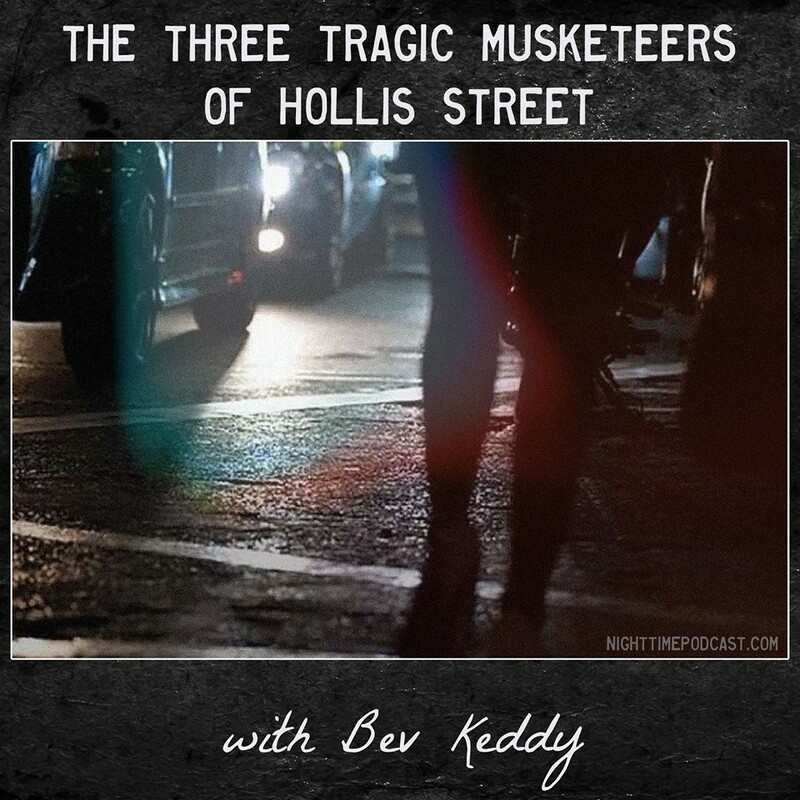 This episode features a conversation surrounding the disapperance of Troy Cook with Frank Magazine crime writer Bev Keddy. As Tom Cook dropped his 19 year old son Troy off at his apartment, they agreed to meet for supper at a favorite restaurant later that week. When Troy didn't show up for the meal, Tom attempted to locate his son only to learn that no one has seen him in days. In this episode, we are joined by the last person to see Troy Cook... his father Tom. 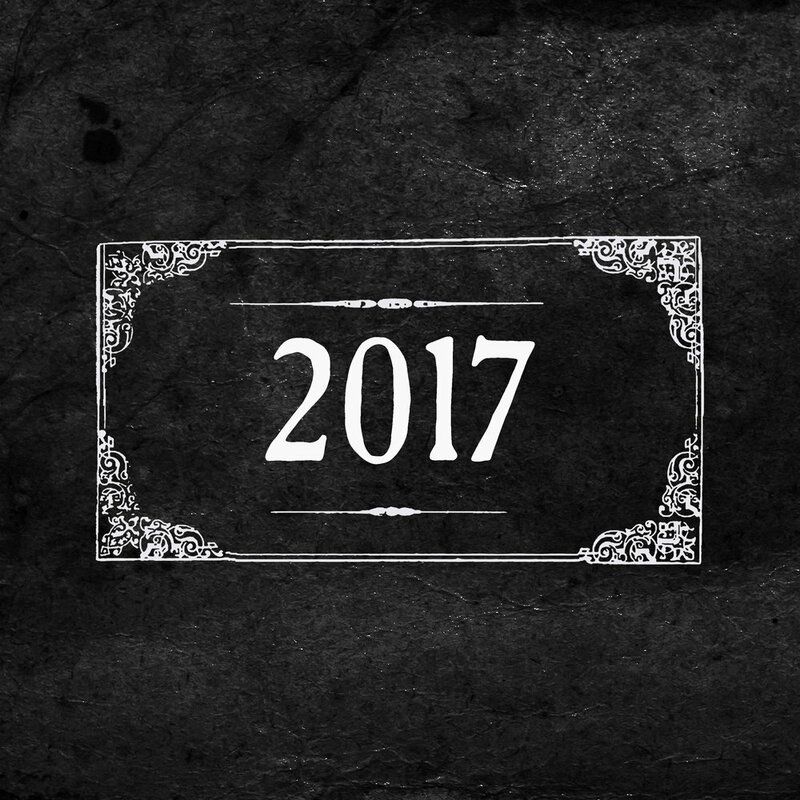 In this year end special, I discuss the many changes felt by the Nighttime podcast, podcasting itself, and the world in 2017. Throughout the episode I have included messages from listeners, friends of the show, and past Nighttime guests. Since we've last heard from Nature boy, I've stayed up to date with his activities and I'm not at all surprised has had a very hectic few months. In this "where are they now" episode, I'll share as much as I know about the recent activities in Natureboy's wild wild life. We've last heard from Sunray just after her release from the mental health hospital she was admitted to upon her return to Canada from Natureboy's tribe in Costa Rica. During that episode, she left off by sharing her goal to return to a natural life in the tropics as soon as possible. In this "where are they now" style episode, Sunray will tell us about what she has been up to in the 6 months since we last spoke. Esther Cox - 2 - A Haunted Girl? The Great Amherst Mystery is a notorious case of poltergeist activity which centered around then 18 year old Esther Cox of Amherst, Nova Scotia between 1878 and 1879. Thanks to the various news reports and writings that still exist from the time, The Great Amherst Mystery is often cited as being the world's best documented case of it's type. In this episode, I will be joined by Laurie Glenn Norris (Author of Haunted Girl) who shares the results of her investigation into Esther Cox's life both before, during, and after the events of the Great Amherst Mystery.